Hackensack has a long, rich history that includes George Washington being headquartered in the city during the Revolutionary War. Washington’s relocation from Hackensack came as the result of news that the British had crossed the Hudson and were closing in. 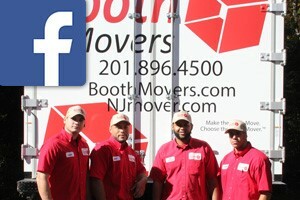 Fortunately, Booth Movers can provide you with a much more stress-free relocation. Whether you’re relocating to Hackensack or moving away from this charming city, the professional Hackensack movers at Booth Movers can ensure a hassle-free relocation. Since the 1940’s, we have provided exceptional moving services. Our award-winning company has long-standing accreditation from the Better Business Bureau and ProMover status from the American Moving and Storage Association. Those affiliations speak to our commitment provide 100% customer satisfaction on every move. Residential Moving: You have to trust your Hackensack movers with everything you own, so choose the proven services of Booth Movers. Local Moving: Even a local move requires the experience of professional movers—and we have more than 70 years of experience! Long-Distance Moving: As an Atlas Van Lines agent, we can handle long distance moves anywhere in the country. International Moving: We understand everything that is required during an international relocation, so leave the details of your overseas move in our capable hands. Full-Service Moving: Choose full-service moving, and we’ll take care of everything from packing the first box to setting the last piece of furniture in place. Commercial Moving: Our commercial Hackensack movers will provide an efficient relocation and get your business back up running with a minimum of downtime. Specialized Moving: Fragile, large, or valuable items, such as Fine art, expensive computer equipment, and antiques, require a special touch. Our specialized moving services ensure safe delivery of these items. Planning a move? Learn more about our impressive Hackensack moving services. Call Booth Movers today to speak with a relocation specialist, or fill out our short, online form to schedule your free, no-obligation estimate.